Enhance the flavor of your flavor text! A sink hole is a gaping hole in the ground that suddenly opens up and swallows whatever happens to be above it? I can give a more clinical definition, but honestly, why would I want to? The ground suddenly opening a rocky maw and swallowing people, things, and places? That’s just awesome. Well, from an adventure perspective, anyway. From the perspective of a hapless Floridian coming home to discover his house has a brand new basement and that the rest of the house is currenly inside said basement? Not so cool. Seriously though: a sink hole occurs when some of the underground disappears and the surface collapses into it as a result. The underground can disappear for artifical reasons, such as someone digging a tunnel through it (like dwarves). But it can also occur naturally as part of the process of erosion. As the ground absorbs water, the water erodes certain types of stone, like limestone or dolomite, leaving a big open space. And eventually, the surface collapses into it. Sink holes can be as small as 3 feet across (1 m) and as large as 2,000 feet (600 m). They can be a few feet deep or thousands of feet. Not Pictured: SO MUCH BAT CRAP! 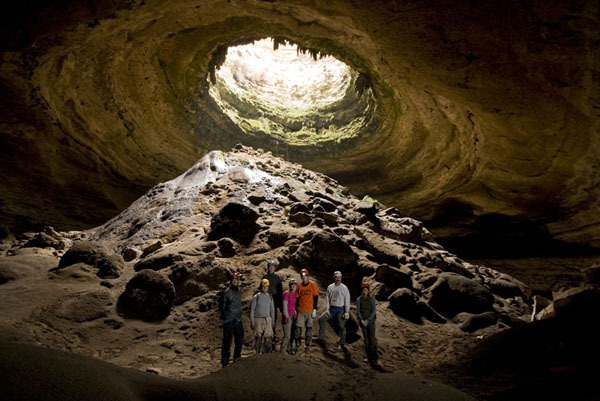 One pretty famous sinkhole is the Devil’s Sinkole in texas, which is about 50 feet across and 400 feet deep and is home to a MASSIVE population of bats. In fact, it is most well known not for the massive sphincter where the ground decided to swallow itself, but for the nightly summer bat flights. 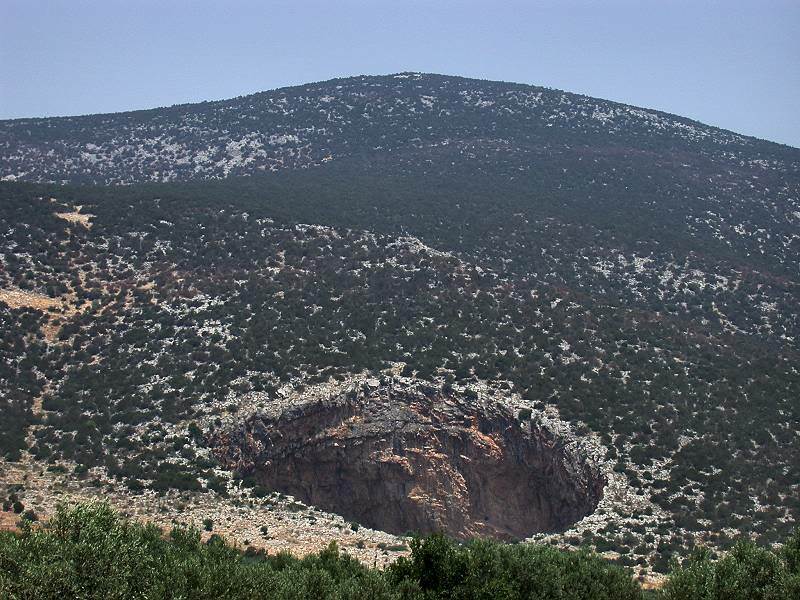 Natural sinkholes occur most commonly in karst landscapes. These are places with a mixture of soluable rocks (rocks that can dissolve in water) and insoluable rocks (rocks that don’t dissolve in water). Karst landscapes are great places for adventurers to hang out because the natural erosion creates caves and tunnels and shafts and sinkholes. 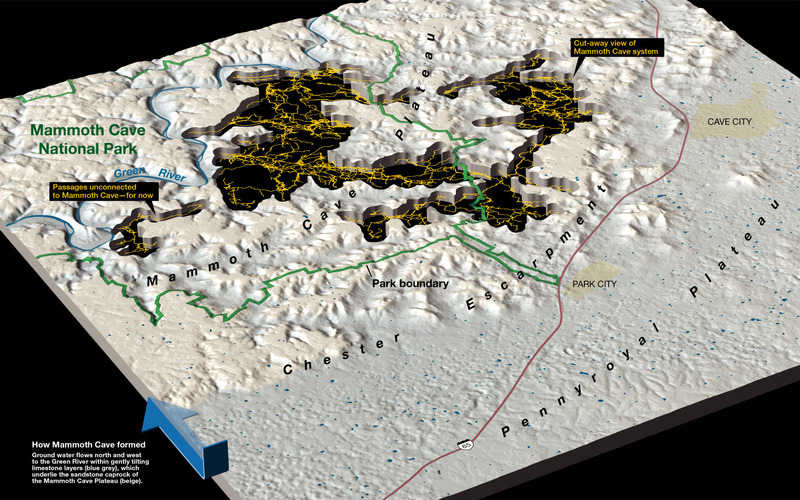 There are lots of karst landscapes in the United States and in Europe. One notable karst area is the state of Kentucky, which is, as a result, home to the largest cave network in the world: Mammoth Cave (so named because it is a cave). Mammoth Cave is comprised of more than 400 miles of explored underground cave (and who knows how much more is unexplored). Honestly, I want to post pictures, but I can’t choose between all of the amazing pictures. 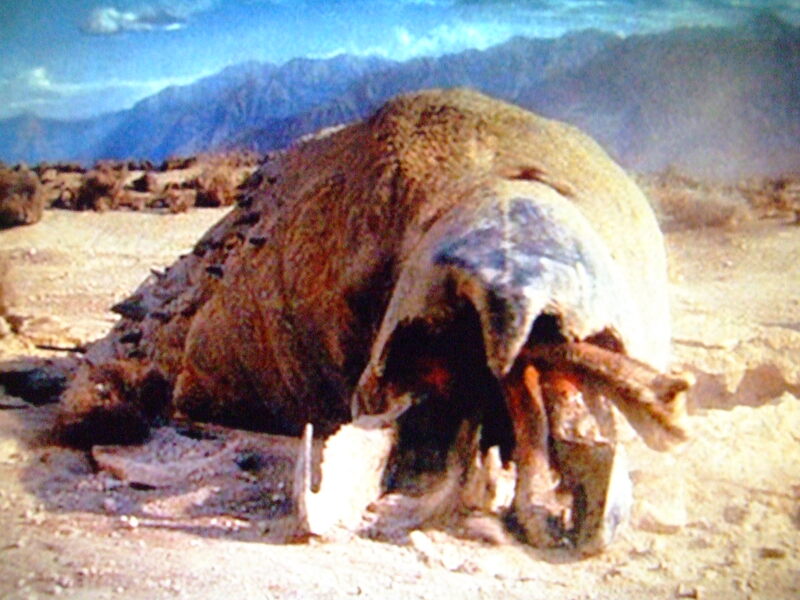 Instead, I’ll tell you do to do a Google image search for Mammoth Cave and marvel. Caves and karst landscapes make great adventuring sites. You can have hundreds of caves and cave networks in a very small area and every one of them can be home to something or someone. Ancient peoples often used caves for shelter, storage, and burial and they are a boon to campers and travelers as well. So you never know what you will find. 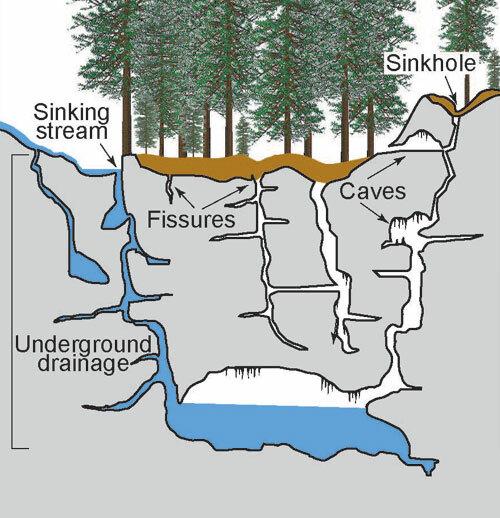 Sink holes are excellent natural disasters, often exposing completely unknown cave networks. Imagine how it would change a city if a sinkhole suddenly swallowed up a portion of the city. Apart from the disaster itself, the long term consequences of having a massive unexplored cave network belching out evil denizens of the dark into the heart of the city could fuel an entire campaign by itself. This entry was tagged Caves, Disasters, Geology, Natural. Bookmark the permalink.